The other day, I was shopping online for shoes. I know it's a huge shock that I, a sixteen year-old female, was contributing to the economy in this way. But you better believe I was browsing for new cycling shoes, not high heels. A pop-up ad appeared on my screen: "Click to find out age demographics for mountain bikers!" I was bored, so I clicked. “Are you male or female?" Female. "Are you between the ages of 18 and 25?" No. "25 and 35?" No. "35 and 45? … Above 100?" Above 100?! I began to picture the world's oldest man screaming into his caretaker's ear, "I NEED TO FIRE UP THE WEBERNET AND ORDER SOME NEW BICYCLING SHOES!" I spent an embarrassing amount of time laughing at this image, regardless of the fact that I was all alone in my room. My mom peered into my room with an expression that said, "What is this? An insane asylum?" She shrugged and I snapped out of my questionable state of laughter, remembering that I was supposed to be offended. "18 and under" wasn't even an option. Am I a ghost to the mountain bike industry? Being a member of the least popular, and often nonexistent, demographic makes it hard to find relatable material in magazines. Unless it's an issue of Seventeen containing something like, "Best selfie angle, revealed!" or "Secret acne antidote: Yolk of an albino peacock egg!" But when it comes to mountain bike magazines, not so much. Anyway, he comes to the conclusion that the age barrier is something that never crosses his mind. Similarly, I don't perceive it as a barrier at all. The eclecticism of the mountain bike culture has a funny way of connecting us with our "could be" grandchildren or, in my case, grandparents. I often find myself shredding with a group of grandpas. I don’t usually think of it that way until I hear the passionate exclamation, “I feel like a kid again!” After a few seconds of awkward silence, I'm encompassed by laughter when someone adds, “Do YOU feel like a kid again? !” With reckless abandon, I proceed to rip on them with elderly jokes. "You never know when that old ticker of yours is going to give up in the middle of a rock garden! You need to install a defibrillator on your handlebars so you'll be shocked back into riding position like nothing ever happened!" Only then do I realize the magic of the mountain bike culture. What other activity do you see a girl my age hanging out with a bunch of middle aged men–and genuinely enjoying their company? Sure, there’s some crude humor and some jokes I don’t quite understand, but hey, it’s a pretty good time. I suddenly realize that these guys have actually watched me grow up in the local race scene. 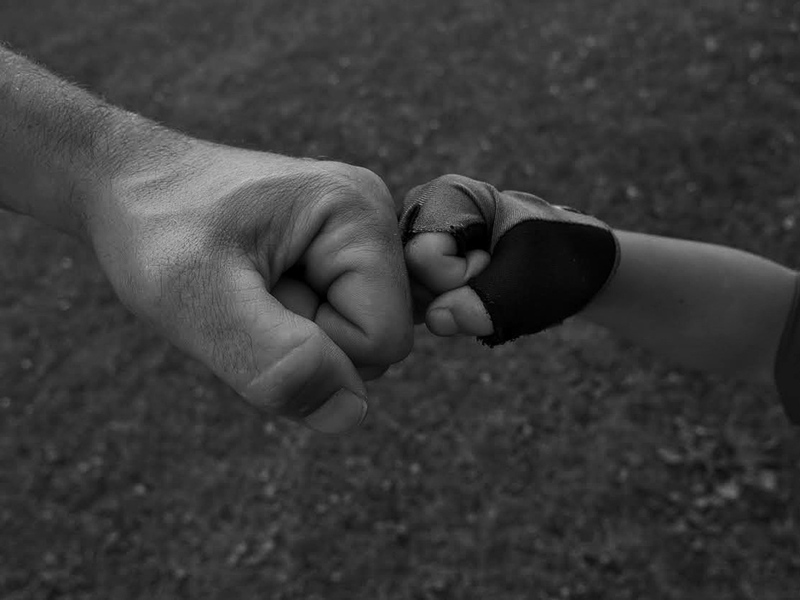 When I was four feet tall with pigtails poking out of my helmet, they always gave me high-fives and knuckle punches. I felt genuinely supported and accepted in this diverse crowd. Even when I got faster and my pigtails (unintentionally) whipped them in the face, they continued to shout words of encouragement despite being temporarily blinded in one eye. Even when my handlebar steamers tickled their knuckles and caused them to lose control, they never let their egos obstruct the opportunity to raise my self-esteem and make me feel welcome. I’ve had friends come and go, but somehow, a bunch of self-proclaimed “old guys” have been there for me since the very beginning. I don’t have a best friend that I’ve known since kindergarten, but I have some great riding buddies who would willingly double as bodyguards. So watch out for the Grandpa Gang rollin' on their pimped-out electric bikes. And to think that something as simple as the love of bike riding has created this unorthodox relationship. 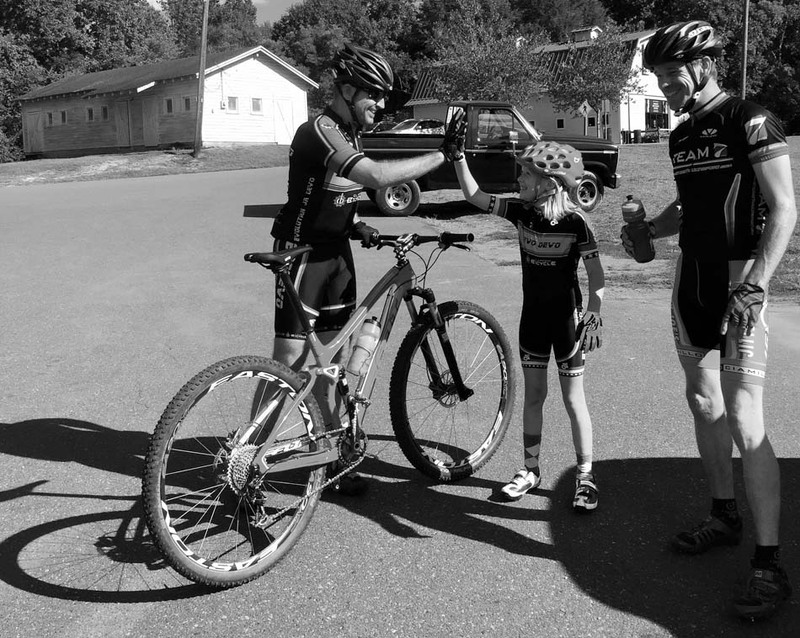 I believe mountain-bike culture proves that camaraderie and good company can be found between seemingly unlike people of different ages. My experience is a testament to that belief and I’m quite happy shredding with grandpa…that is, until I become a shred-thirsty grandma myself. Veda (vay-da) Gerasimek (jer-az-mik) is a sixteen-year-old competitive cross-country mountain biker (and three-time national champion). She is passionate about sharing her perspective of the sport and its culture through writing and humor. Follow her "off-road" journey on her blog.